Company: J & S Tool, Inc. 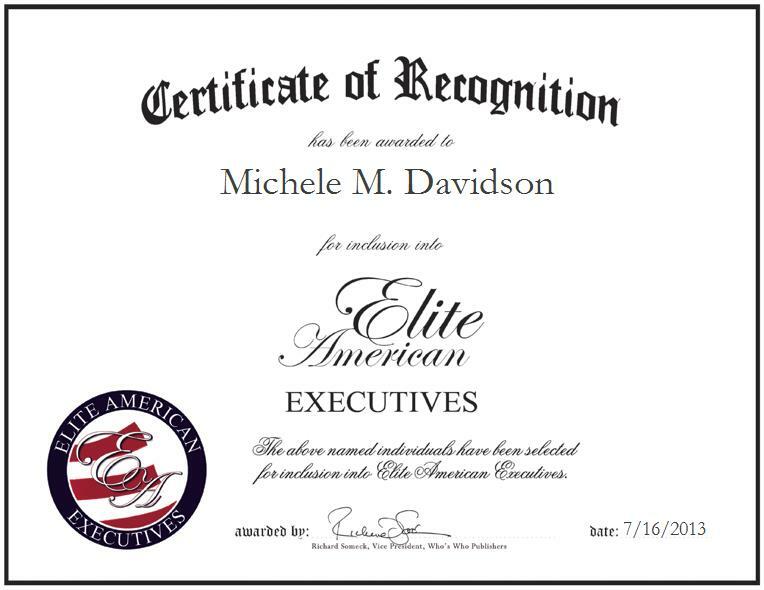 In her current role, Michele M. Davidson is responsible for handling the management of office staff administration for all operations, human resources, insurance and payroll at a nationally renowned tool business specializing in the sales and servicing of industrial cutting tools. With more than 30 years of professional experience under her belt, Ms. Davidson makes the most of her knowledge and experience by ensuring the company’s operations are always running smoothly. She feels that she has been able to do so due to her strong work ethic and a relentless drive to succeed. She became involved in her profession because she started college very young and began in the computer science field. She had one year of training and felt it was very robotic and decided to pursue a career in accounting business management. She wanted to work in a small company at the time, and have the responsibility of everything.